We laid our foundation stone nearly a decade ago with an objective of providing quality garage door service at affordable prices. Today, we are the best service providers in the industry armed with a skilled team, modern technology and approval of thousands of customers in and around Salisbury. 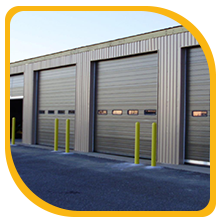 Right from installing garage doors to providing routine maintenance and repair services, we cater to all the needs of the community diligently. With the knowledge and vast experience of our skilled technicians, even the most challenging issues are easily identified and resolved. Beyond our abilities on the field, we strive to serve our customers round-the-clock and uphold the highest levels of professionalism at every job handed to us. 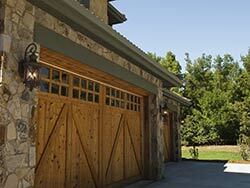 Why choose United Garage Door Service? Garage doors do not just add to the opulence and appeal of your house, but also offer a safe storage environment for your property and other essential valuables. 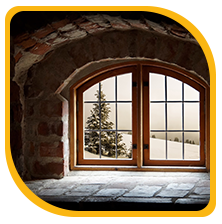 Such doors are highly-complex and comprise a wide range of components that work in a concatenated manner and even one dysfunctional unit can cause a serious damage to the door and render it useless. We provide professional garage door services to all the customers in the Salisbury, MA area and our team of skilled experts is trained in handling intricate issues such as improper force setting, dysfunctional safety sensors, loose springs, etc. Our team of experienced technicians knows how to deal with complex circuitry and intricate mechanisms and can provide apt solutions with zero damage to your property. From replacing rusty old garage doors with stylish and attractive ones to conducting routine maintenance and repair services, we offer a wide range of solutions to our customers to meet all their garage door-related needs. Our special services include installation of advanced sensors, sturdy springs, custom carriage house doors and garage door cables. We also repair modern openers or replace them with new ones. 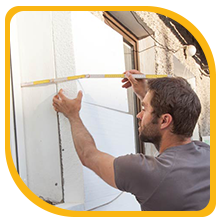 Call us anytime on the numbers provided in the Contact Us section and we will send our garage door experts to evaluate your situation and provide optimum solutions. We understand any reservations you may have when it comes to the delicate matter of your security and assure you that each and every member of the United Garage Door Service team is trustworthy and dependable. Our technicians have undergone years of rigorous training and have the right skills to combat any kind of garage door problem you may be facing. Over the years, our technicians have received kudos from countless customers for providing quick and reliable solutions to their problems while upholding the highest standards of professionalism. We are passionate about what we do and that reflects on the quality of service we provide to our customers. United Garage Door Service is synonymous with quick, affordable, and quality solutions and is trusted by many customers in Salisbury, MA. If you are facing any kind of issue related to your garage door or need to replace your old door with a new one, call our technicians today!